Son of Juno-award winning classical Canadian pianist, Anton Kuerti, Rumplestiltz (Rafael Kuerti) was born and raised in downtown Toronto. Both parents were professional classical musicians, and Rumple learned to play the cello from a very young age. Stiltz has been using his classical music training, and theory/composition background, to compose hip-hop instrumentals and beats for over 15 years. As a member of the worldwide touring underground Hip-hop group “Babylon Warchild” – Rafael has performed on hundreds of hip-hop stages at concerts and festivals across the world including the US, Canada, China, Malaysia, Korea, Germany, Switzerland, Denmark, Greece, Czech, Slovakia, Netherlands, Belgium, and many more. Rafael has performed and shared the stage with artists such as Big Daddy Kane, Afrika Bambaataa, Xzibit, ONYX, R.A. The Rugged Man, Rahzel, Loop Troop, Planet Asia, Snowgoons, Reef The Lost Cauze, Chief Kamachi, Bizarre (of D12), Lord Lhus, Saukrates, Choclair, Snak The Ripper, Wordsworth, PackFm, as well as many others. As a Hip-hop producer – Rafael has had the chance to produce and engineer recording sessions/songs for some of hip-hop’s greatest artists such as: The Gza (of Wu Tang Clan), Sadat X (of Brand Nubian), Starang Wondah (of Boot Camp Clik), Wordsworth (of Lyricist Lounge), Tragedy Khadafi (Of Queensbridge), Stic Man (Of Dead Prez), Chief Kamachi (Army of the Pharoahs), Reef the Lost Cauze (Army of the Pharoahs), Lord Lhus (of Snowgoons), Solomon Childs (Wu tang Clan) and many more! 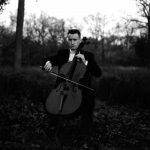 Rafael comes directly from a lineage of Master Cello players, and teachers – of the late Janos Starker – widely regarded as one of the premier cello teacher this century. Renowned Canadian teachers include: John Kadz, Shauna Rolston, Simon Fryer, Mihai Tetel and Kristine Bogyo. Mr Kuerti has vast orchestral and chamber music experience and has appeared professionally in hundreds of Orchestras and Chamber groups across Canada, and Europe.